Personal training gives you the opportunity to achieve great results working 1-2-1 with your very own coach. We will help you break past the current barriers you put up that stop you gaining great health. We will also build you a personal training blueprint that aids your ability to gain great health that can be easily maintained and consistently improved upon week after week. We integrate our personal training systems into your busy lifestyle and will come to you where and whenever it’s convenient. The team here at BodyUK prides itself on our continued excellence that allows us to design and deliver the very best in sports science education and fitness and lifestyle coaching no matter where you exercise from. You no longer need a public gym membership to lose weight and gain great health. For 92% of our current personal training members here at BodyUK, as soon as they stopped their personal gym membership and contacted our team for a personal trainer consultation, their fitness and personal health transformed in a matter of months. 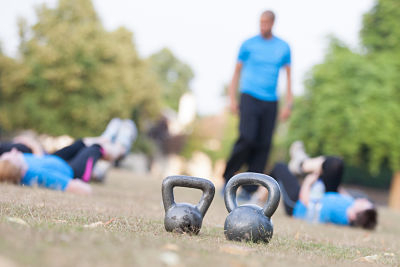 How Does A Personal Training Consultation Work? Your first step is to contact the BodyUK team. You can either fill out the form and one of our coaches will be in touch with you by the end of today or you can call our number to speak with a member of our team and book your initial consultation right away. We are keen to find out a little bit more about you so we can quickly understand how we can best help you reach your personal fitness goals in the most effective way possible. So when we speak to you over email, our aim will be to say hello, answer any questions you might have about the team, find out more about your personal fitness goals and then book you in for a free personal training consultation at a time and location that best suits you. We like to make sure the initial consultation is relaxed and enjoyable. We’ll arrange a simple chat over a tea/coffee at one of your local coffee shops or we can come to your home or work place if this works better for you. Your consultation will take no longer than 45 minutes. This gives us the perfect opportunity to meet each other properly and talk in depth about your goals and ambitions. We will also be able to go into more depth face-to-face regarding our personal training sessions and fitness and weight-loss systems. By the end of your appointment you should feel more confident, empowered and ready to take a really great step forward with our coaching team. If after your consultation, we decide 1-2-1 personal training isn’t right for you, we will do our best to help you find a fitness solution that will work perfectly for your needs. BodyUK coach many fitness programmes so we are confident that we will have the perfect fitness plan for you. If you need help from a different expert, then we will help you make the connection needed for your success. Our aim is to make getting started as easy as possible. We are friendly, extremely knowledgeable and we aim to make fitness and exercise fun for all abilities. Take that first step and book your free personal training consultation today.